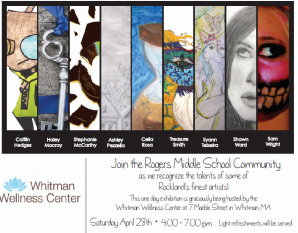 Be sure to mark your calendar for this years Rockland Arts Festival! Always a treat, showcasing the incredible talents of Rockland's youth in the visual, computer, musical and theatrical arts! 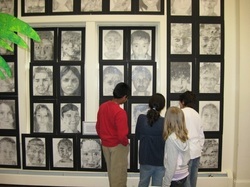 This year, the artwork will be on display in the beautiful new middle and high schools! 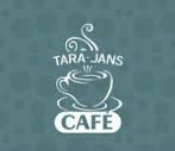 Right in the center of town is a wonderful "gem" of Rockland, Tara Jan's Cafe! Owned and run by a wonderful local family, Tara Jan's offers delicious homemade food, creative iced coffees and a wonderful fun vibe! Wanting to be an active participant in the town, Tara Jan's offered the middle school students an opportunity to showcase their talents with an art show during the month of November. The kids worked hard on their "food-inspired" artwork and it looked great on display. Great job by all the artists! CLICK on the Tara-Jan's picture to visit their website and make sure to stop in and check it out! Enjoy the images below showing the work in progress and the art show itself!